I enrolled in my first MOOC, which started last week. It’s a course called Programming Languages, designed by Associate Professor Dan Grossman and others at the University of Washington, and hosted by Coursera. 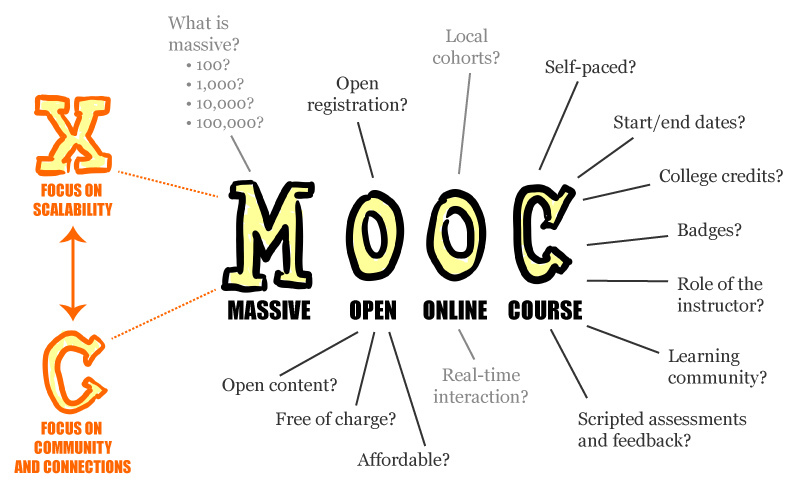 If you’ve never heard of MOOCs (Massive Open Online Courses), they’re online courses designed by universities, open to anyone (and free), and allow for unlimited simultaneous participants. Some are self-paced, some are scheduled. Some are offered by universities directly, while others go through a third-party like Coursera or edX. The concept is very much a work in progress. Read more here. What’s not to like? Quality courses for the masses for free. I have no idea how it’s financially viable, but it seems a lot of involved parties are trying to figure that part out. Just who are these “involved parties”? participating in the community, and more. Everything up to this point has been easy to navigate and find. If you’ve taken eLearning courses before, it should be relatively easy to get up and running; however, the devil’s in the details so to speak. The most confusing part of the process has just been the newness of it all. Fortunately, Dan is aware of that and acknowledges it right away. He made videos showing him installing the various required software and running a few sample programs, and he also explains the homework submission process in detail. When you’ve got hundreds or even thousands of participants in a class, you need to find ways to grade homework that doesn’t involve going through one (or a few) people. There’s not much else to say about it yet, except that functional languages are much different than the OOP I’m used to! I can’t see how you’d write an entire application in it yet, but each successive “layer” builds upon an unchanging base, whereas pretty much any previously defined object in C# can be changed at any time, making earlier assumptions invalid. It’s difficult to explain until you see it in action. More like, why am I doing this to myself? There are two reasons. I develop nearly exclusively in C#, and I’m looking to expand my horizons. No one language is perfect or lasts forever, and getting boxed into a single language is foolish. I hope to learn the basic concepts that apply to all programming languages, and get an introduction to functional programming at the same time. I want something semi-structured, to get me moving. Accountability: There were deadlines and a moderate level of collaboration with other participants. Confidence: I stayed motivated and self-driven, seeing something through to completion. Mental Exercise: Finding new and interesting ways to challenge yourself keeps you sharp. It was a PITA at times, taking courses when all I wanted to do in the evenings was relax, but I finished it. I’m proud of it, and hope I’ve set a good example for my kids. Fast-forward 7 years. I read a bit, play around with new technologies a bit. But it’s so easy to get distracted, and for goals to get side-lined. 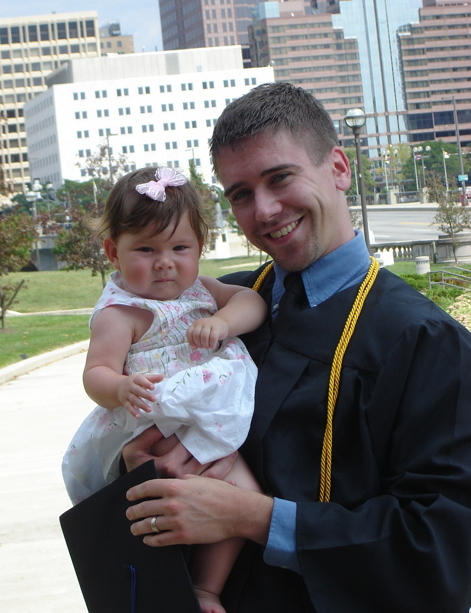 It took me a week to get thru a 3-hour Pluralsight course on technical debt! (It was good, btw.) I’ve got 4 kids now, more responsibilities than before, blah blah blah. That’s how rationalization works. And rationalization and procrastination go hand-in-hand. Why study when I could just relax? Why exercise when I could just relax? Why relax when I could just… um, relax more. Basically, I want to push myself again, like I did before, and I think this may prove to be a good way to do that. Of course, things aren’t exactly like they were before. There are more participants (many more) than online courses I’ve taken before, so it’s less intimate. And the classes are free, so it’s easier to walk away when it gets tough or something else comes up. Less than 3% of the original enrollment even attempted the final exam! Granted, I have no idea how the course was organized or what kind of technical limitations/aggravations there may have been, but geez it couldn’t have been that bad. So, here’s to staying motivated enough to finish! It’s only 10 weeks. I’ll write more posts with my thoughts and experiences, as the course proceeds.